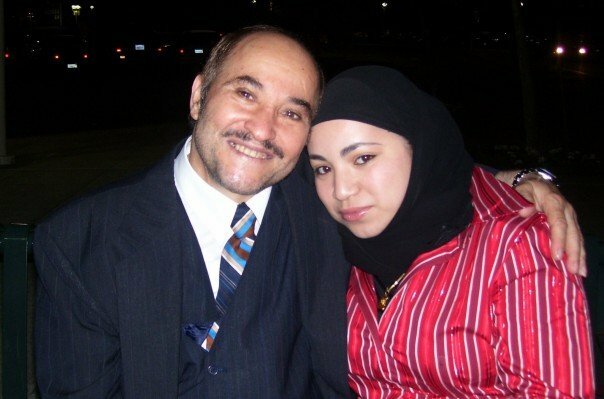 Almost 40 years ago, my late Amuh* Ibrahim did what he could to bring my father from Egypt to America. Amuh Ibrahim had a small business and with my dad being the few of his 8 siblings wanting a better education and work opportunities, it just seemed best fit. My dad came and worked with Amuh Ibrahim for many years while learning English and taking courses to better his knowledge in almost anything. Life in San Francisco, CA wasn’t the country side of Tukh, Egypt but it was bliss. After standing on his feet, bringing Amuh Abdoun to CA from Egypt and leaving Amuh Ibrahim’s business to take a labor union job, my dad went back to Egypt for a visit. He came back happily married to my mother. My father struggled to make a better life for his wife and kids. Things change and people grow apart… He was a divorced man but a determined father never the less. Both my parents struggled living apart with 5 children in between. Both being single parents and doing all that they never thought they could for our sake. My father had these big dreams for himself and when he couldn’t accomplish them, he did whatever he could to pass those dreams on to his children. The higher education he didn’t really finish, the big career job he didn’t have, the love that didn’t last… He wants all that and more for his children. However, his children have tried to make him proud, living out their own dreams that aren’t far from his own. Living apart from my father taught us a great deal of independence and gratitude. The passing of Amuh Ibrahim last fall reminded us all of that gratitude for family. It was Amuh Ibrahim that took the first step so that two of his younger brothers can follow. As an older sibling, it showed me that what I do can determine what my younger siblings follow. It showed me that we are a piece of our parents hopes, dreams, goals and aspirations. Today,I think of my cousins as they go through the first Father’s day without Amuh Ibrahim. Everything about them to me is a piece of Amuh Ibrahim. Today and everyday I think of how it makes him an unforgettable man as in my eyes, he lives through them. May he rest in eternal peace as his spirit surround us. Today, I think of Amuh Abdoun, a man who’s smile is contagious and presence demands respect. Today and everyday, I think of the only other paternal relative I’ve grown to know as a man of religion, strength and will power. Today and everyday I praise God Almighty for blessing my siblings and I with our father. For his determination, understanding, patience, charisma and smile, God I praise you. Even with his flaws and sometimes silly habits, I praise God. Without him and my mother, we would not be here today, living on the dreams of a young man from Egypt who wanted to go far and beyond. God, I praise you for my father, Nagah Abdoun.